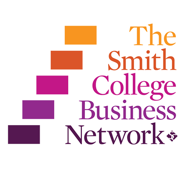 Smith College is serious about educating the next wave of leaders in business and fostering women’s entrepreneurial spirit. We’re nurturing the next generation of game changers just as we’re supporting our alumnae who are working in the trenches, leading companies and tipping the demographics. Smith is an incubator of big ideas and a launching pad for bold and ambitious women. At Smith, we teach women to make their world. Programs like Wall Street Prep, the Smith-Tuck Business Bridge Program, Training the Streets and Mock Interview Day inspire students to dream big and not be held back by outdated stereotypes or society’s limits. The Jill Ker Conway Innovation & Entrepreneurship Center is an intellectual hub where students receive the tools to think expansively and develop innovative solutions to pressing problems. Generations of alumnae are excelling in the business world. As our programs evolve to meet the needs of an ever-changing business landscape, new generations of Smith women will continue to innovate, push boundaries and lead change.